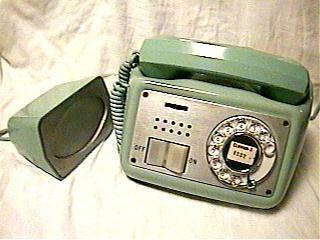 Much harder to find than its Western Electric counterparts. A few minor cosmetic issues. Email for details and more photos. $1000 or trade involving a set of similar scarcity and interest. 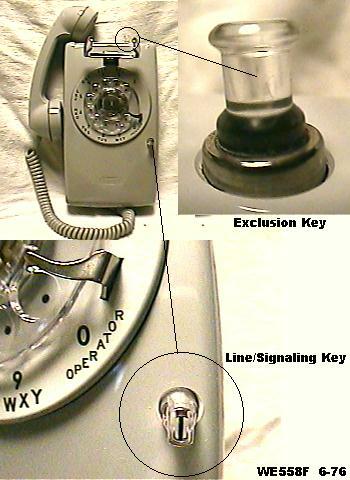 Keyset with the 66-type dial including FO, F, I and P button column. 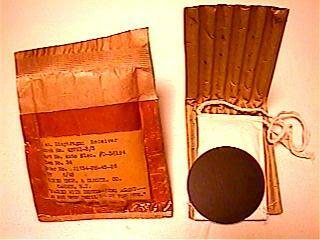 This one is a military version with a huge line cord and large plug on the end. There's minor damage on the back around the cord hole (which had to be enlarged for this special line cord. This is an unusual variation of an unusual keyset! Email for details and more photos. $1200 or trade involving a set of similar scarcity and interest. 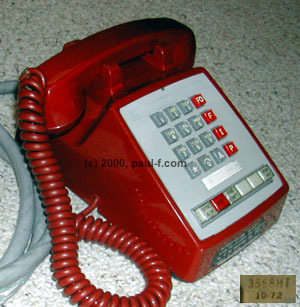 2-line wall phone with exclusion key and line signaling. Check for colors and variations available. Only a few left. 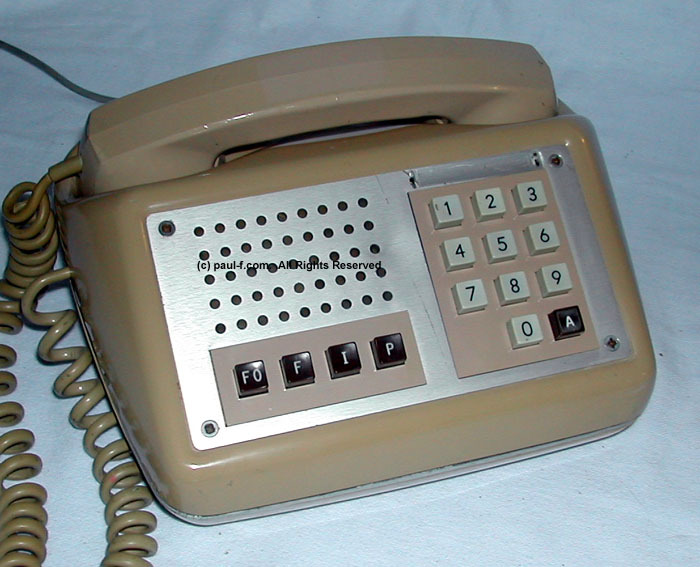 Early version in the 500 series, included the original 425A network and a terminal strip for handset connections. 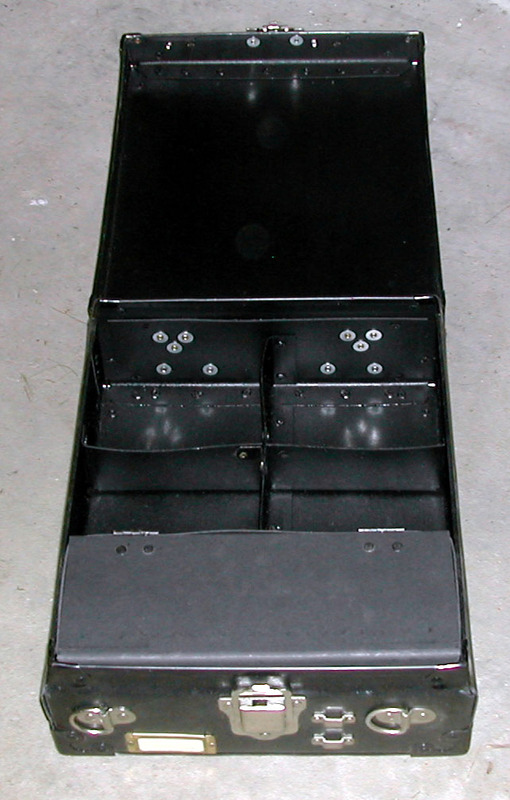 Standard 500 black case, similar to the WE500D. Other collectible 500-series variations are available. Email for details. Early large format with huge on/off switch and "space-age" styled speaker. Normally available in black. Email for availability and price of other variations and colors. Occasionally available in green or beige. 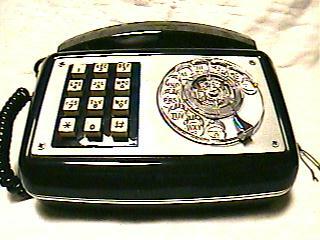 You can dial with either method, so it makes an interesting (and useful) display of the transition period from rotary dial service to touchtone. Currently available in beige. Only one left. 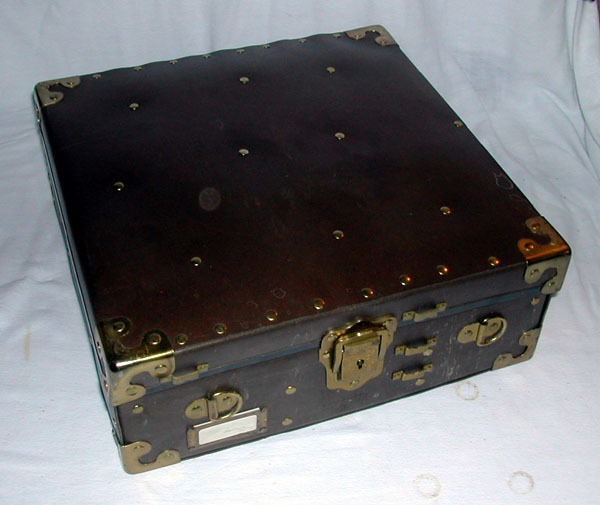 This case was used in the Training Department of New Jersey Bell to teach students how to manage a collection route. 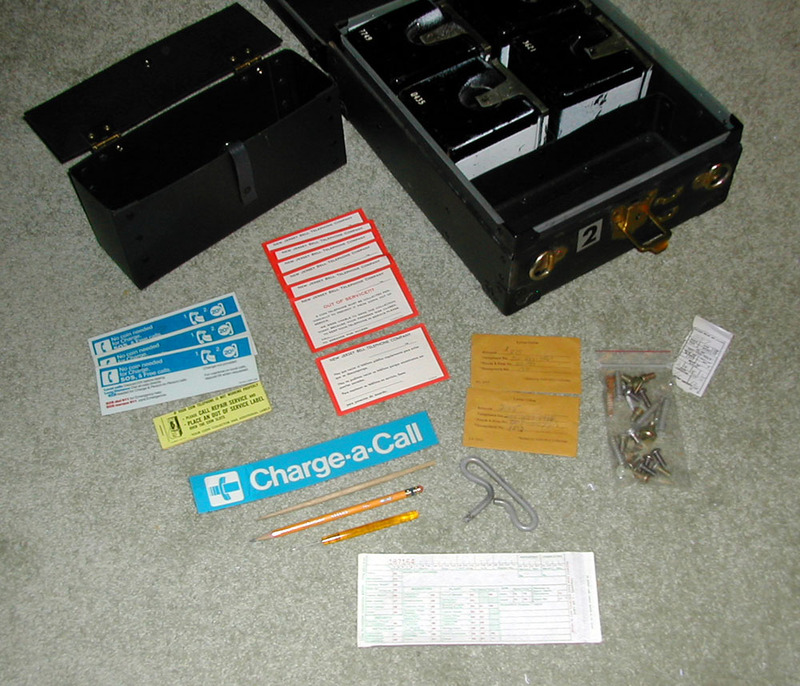 Includes 4 coin cans for single slot payphones, T handle, Out of service cards (back in Spanish), Out of Service sticker booklet, instruction cards, coin envelopes, a few tools, miscellaneous screws, etc. 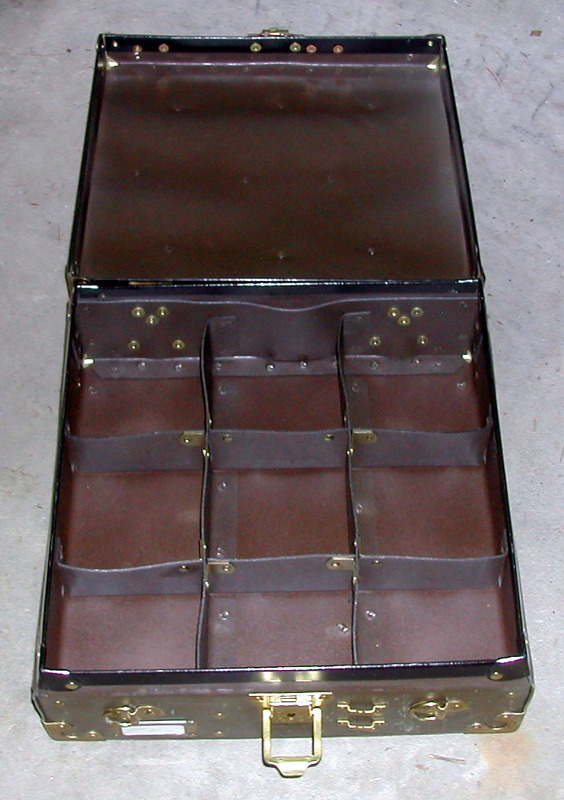 Empty cases with dividers for 4, 6 or 9 coin collection cans. Apparently unused (or gently used). Yours will be NOS and unopened! WICKES ENGR. & CONSTR. CO.
DO NOT OPEN UNTIL READY FOR USE." 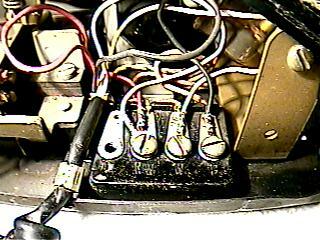 Used under manual switchboards to retract cords, returning the jacks to the rest position. Cords were threaded around the pulley, which is just above the weight. Marked 119 on one side and P287992 on the other side. 4 3/8" high. 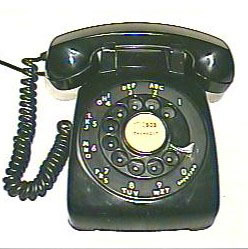 All phones are used and refurbished unless noted, and can be expected to show some wear signs on close inspection. 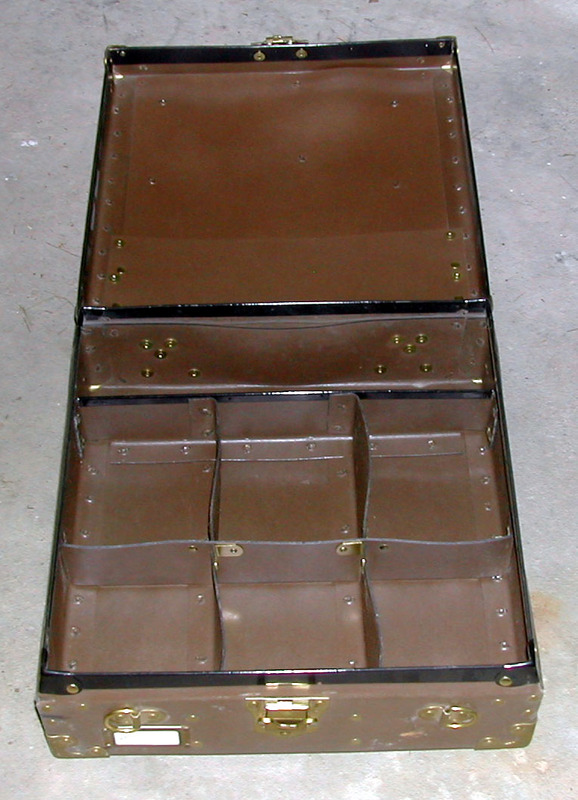 Prices include cleaning, polishing, mechanical servicing and warranty. See FAQ for details. Prices for phones in "as found" condition or with cosmetic blemishes will be quoted on request. THANKS FOR VISITING! 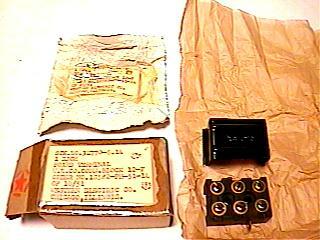 ©2001-17, Recollections. All rights reserved.